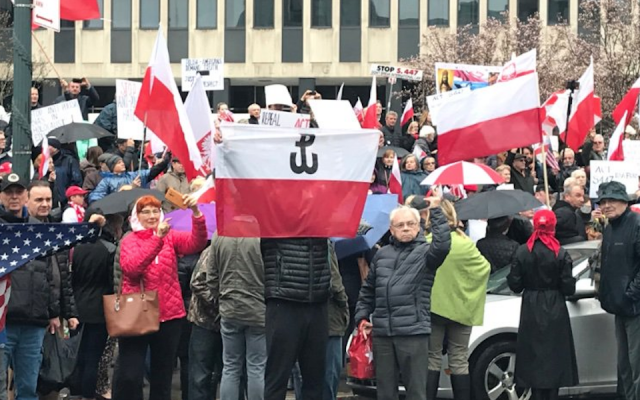 Polish nationalists protested in New York City against a bill designed to help Holocaust survivors and their descendants reclaim lost property in Poland, with some using anti-Semitic rhetoric. Hundreds of people participated in the protest on Sunday in Foley Square. One protester held a sign calling to the “stop Holocaust industry,” while others questioned how many Polish Jews were killed during World War II, according to author Molly Crabapple, who posted photos from the event on Twitter. 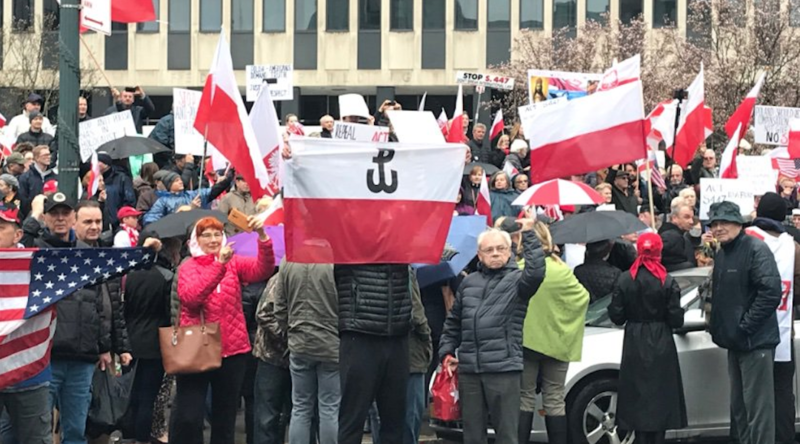 One protester told Crabapple that the Jews of Warsaw were “mostly killed by other Jews,” while another waved a dollar bill at a Jewish counter protest. Last year, the Polish Senate passed legislation that criminalizes accusing the Polish nations of the crimes committed by the Germans during World War II, but later amended it to drop penalties in the wake of international criticism.